With Our Position Statement we are requesting Newport County (Town of Tiverton, City of Newport, Town of Middletown, Town of Portsmouth, and Town of Jamestown) to create an ordinance for the elimination of single-use carryout check out bags. It makes good sense for the communities of Newport County to develop and implement this ordinance in a uniform and consistent manner. Earth Policy reports the amount of energy required to make 12 plastic shopping bags could drive a car for a mile. February 26, 2018 – Council passed ordinance with 6-1 vote, effective September 1, 2018! September 18, 2017 : Council passed ordinance with 4-1 vote, effective April 22, 2018! August 21: Council passed a motion 4-0 to set public hearing for ordinance on September 18, 2017. August 8: Public workshop at Fort Getty Pavilion at 630 p.m. Everyone is welcome. July 17, Council passed a motion 5-0 requesting a draft ordinance from administration. July 12, Public workshop at Jamestown Art Center to discuss the elimination of single-use plastic bags. November 20, 2017: Final and 2nd reading of the amendment listed below, effective December 1, 2017. November 2, 2017: Council adjusts definition of “reusable bag” to be very similar to Newport ordinance. May 1, 2017: Council passed FINAL 2nd reading of ordinance with 7-0 vote, effective November 1, 2017! March 8, Council passed FINAL 2nd reading of ordinance with 7-0 vote, effective November 1, 2017! Q: Why do you have to force people to abide by this law instead of just encouraging people to change their behavior? Our action is community-based and data-driven by the community of Aquidneck Island. 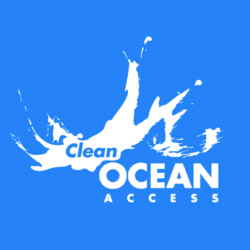 Over 3,000 volunteers have participated in Clean Ocean Access’ beach cleanups since 2013 and have removed over 40,000 pounds of debris, and this includes over 11,000 plastic bags. It is these results and this information that fuels our efforts. Passion doesn’t influence our action, it is the data. We do not believe that banning plastic bags will solve global cooling, but eliminating the bag is a good first step to move our island forward as a leader for protecting the environment. Q: Why is the ban on single-use plastic bags so important? It is important to remind people that we are not trying to “ban our way to an improved environment,” but we feel that the elimination of single-use plastic is considered a good first step to tickle moral persuasion so people start making better choices with a goal of reducing all single-use plastics. 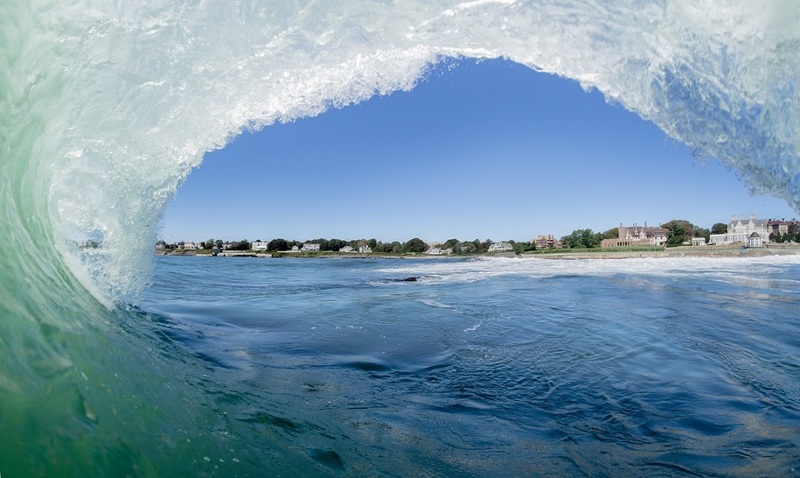 Aquidneck Island is dependent on a healthy ocean, it makes sense that ocean health is a constant priority and we are a leader for environmental sustainability. As a community, if we work together, respect the concerns of each other, listen, and find a way to make it work, we will succeed for everyone. Q: Not everyone can afford to buy reusable bags. This is a valid concern that has been spoken about at all public meetings and workshops. Our goal is to purchase a significant number of reusable bags, brand them with a positive message promoting environmental stewardship and distribute the bags as required. Everyone (regardless of how they acquired their bags) will need to be responsible and remember to bring the bag to the store. Q: Why are these bags categorized as single-use? I reuse my plastic carryout bags to line wastebaskets, and pick up after my pet. There are many was to get additional utility from the material, but the outcome still isn’t great. If you recycle plastic bags it requires more energy and raw materials to down cycle the material into something else. If the bag takes on a new purpose such as trash collection at home or dog waste, it ends up in the landfill, and that plastic will be there forever. We are advocating for a very strong message about sustainability and durable reuse. There are still volumes of single use plastic that can be used for additional utility, but eliminating the bag from retail establishments must happen. Q: Reusable bags eventually become worn out, and end up in the landfill so what is the point? Reusable bags do in fact reach their end of life and become trash, however, one reusable bag can hold 2-3 times the amount of product that goes into a single-use plastic bag, and one reusable bag can be used hundreds of times. For every reusable bag, we probably eliminate at least 500 single-use bags, and likely many more. We never find reusable bags in the ocean and shoreline. We have not seen them become a type of litter and a huge part of what we are working towards is to protect and improve the environment. Landfills are indeed safe, but a temporary fix for waste management. While sanitary landfills are great at preventing contamination to the watershed (no air or water exchange), they are essentially mummifying all our waste for future generations to figure out. Q: By eliminating plastic bags, the most common substitute will be paper bags. Aren’t those just as bad for the environment? Our goal is not to proliferate the usage of single-use paper, but we recognize that the initial launch of this proposed ordinance may come with a temporary increase of alternatives, presumably paper. As a consumer based society, perhaps if we demand that new paper bags are produced in the most efficient manner, we will see dramatic improvements in the process, it is our opinion that there hasn’t been much innovation in this area. To incentive the consumer to bring their own bag, shops and/or the ordinance could impose a small fee for providing a bag. This was done in the U.K. and within a 6-month period, the single-use bag usage dropped by 80%. Q: What are some viable alternatives to plastic bags that I can use for waste at home? When purchasing toilet tissue, paper towels, and paper plates, buy it in bulk and use the bag for your waste basket, or to dispose of animal waste. When purchasing electronics, save the bags that most things come in and use them for cat litter. If you or your neighbor gets the newspaper, use the plastic bag that the paper comes in for cat litter or dog waste. Reuse your empty coffee can with re-sealable lid for cat litter and empty once a week on trash day. Q: What steps can I take to help eliminate the use of plastic bags in my life? Stop using plastic bags and get yourself a few durable reusable bags. Skip the wrapping paper for gifts and give your gifts in durable reusable bags. Let your favorite merchants know that you support the elimination of plastic bags. Inform all elected officials that you support the elimination of plastic bags. Get outside and connect with nature and let the good feeling of our island environment build a wave of momentum to protect the environment for future generations. Point number 3 should be the only call to action required, however our goal of moving this forward is to build momentum, and generate more community action so that we don’t need government to do what society can do on their own. Q: Many businesses on Aquidneck Island don’t have recycling bins at their store, even though they produce high volumes of recyclable waste. Because of the uniqueness of Aquidneck Island, we have a very good chance of influencing local business with a bottom-up approach. One of the first initiatives we would like to pursue about the bag initiative is to embark on an effort to require business recycling. While this will be an ordinance, we also want consumers to be empowered to make purchasing decisions to reflect their needs. If a store doesn’t recycle, don’t shop there. We will make it happen! Q: Why isn’t the city using recycling containers at access points of cliff walk and other coastal areas? There are some areas on the cliff walk that have the dual, big-belly units, but they are few and far between. The reality with recycling containers is that it is an expense to the municipality for operations and maintenance. We would like to see more impactful signage that promotes, “carry in, carry out.” Instead of throwing plastic bottles in the trash, people can take them and recycle them at home or other recycling locations. Q: It is not just residents that use plastic bags, what about restaurants, hotels, department stores, hospitals, and beaches responsible to change their behavior? Business recycling can become very complicated, but it is not impossible. Some businesses may be limited for space, for others it may be a process issue, and for others it may be a combination. In all cases, it comes down to economics. Today, local municipalities are reimbursed for tonnage of recycling, so the entire model is incentive-based for the municipality to create a framework that encourages the resident to recycle (we feel this model works but has limitations). Creating similar framework for business could be challenging. We have this topic on our list of priority areas, but in the interim period the best solution is to voice your consumer input to businesses and tell them you want to see them recycle. At the start and end of the day, the consumer voice is the loudest signal. Q: Why don’t you expand the ban to single-use coffee cups and other debris that ends up in the ocean and on beaches? Single-use foam, paper, and plastic cups do need to be dealt with and it is indeed on our list of things to address, including straws and balloons. Our approach for the island wide elimination of single-use plastic bags has a focus on durable, reusable bags, and less so choosing between plastic and paper. Plastic bags are a by-product of the natural gas industry and more of it comes from fracked gas which isn’t sustainable and plastic bags last a long time. There isn’t a perfect solution but we feel moving forward with an island wide ban will increase moral persuasion to be mindful of all single-use items and start a wave of change. Q: Why not also regulate the abundance of fishing line and hooks found along the beaches? There are so many other things that need to be addressed, and our efforts to improve ocean health is not a quick straight line, it is going to take a lot of hard work. Fishing waste is a major problem. We are considering four initiatives for this problem. The first is to include a 10-step question text that must be passed each year when applying for a fishing permit. The questions would be geared towards these issues. The goal is that the simple test will bring awareness and result in the reduction in fishing material waste residing in the ocean. The second is to install better signage at the fishing locations that talk about these topics. The third is to make sure that the local/state agencies responsible for enforcing rules and regulations are properly staffed and acting. The forth is to engage in education and outreach activities that collaborate with the fishing community to promote stewardship of the local waters. Q: Plastic bags biodegrade easily with enough exposure to UV rays. With enough UV radiation, most things on this planet will break down to their originating raw materials, but takes many many years. Most plastic bags are down-cycled and require more raw material and more energy to create new material. We feel this is a compelling campaign that is easy to implement, it will raise awareness and demonstrate the leadership and stewardship of Aquidneck Island. Q: Can We get an ordinance to eliminate the plastic garbage bags that we pay for from the town? That is a different program and not part of our campaign, but is relevant to the larger topic of plastic. Our campaign solely is focused on single-use plastic bags to address a specific problem, inspire awareness of all single-use materials and build momentum for moving away from single-use items.